It’s Football Season, once again. Here’s a great “game day” recipe for the calorie conscious! 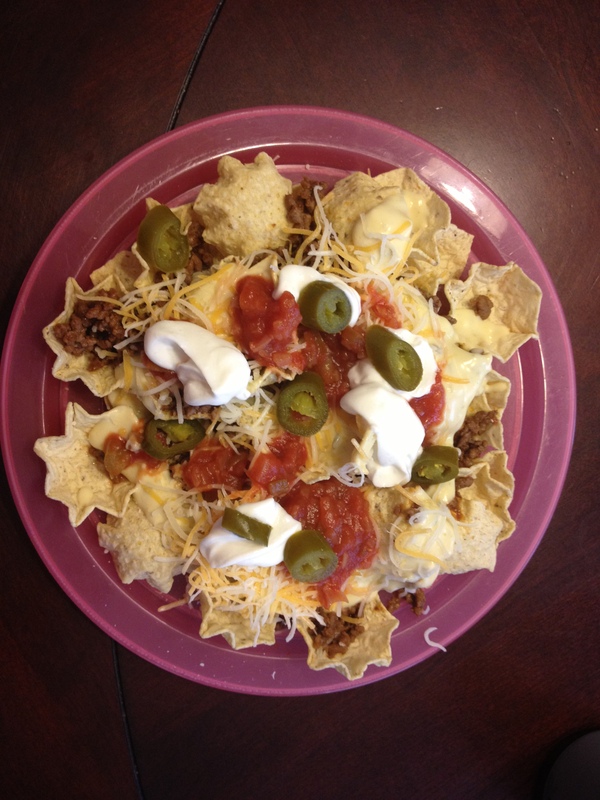 I have a couple of things to say about this nacho recipe. 1. It’s YUMMY. 2. I know the recipe for the nacho sauce (the “cheese”) itself sounds funny, but it is SOOOO GOOD. Please don’t let the cream of chicken soup scare you 🙂 Enjoy. 1. Mix all ingredients for cheese sauce and heat in a small pan on stovetop on low. Continue stirring to keep from sticking. Make sure it cooks long enough to incorporate all ingredients and get nice and hot. Serve hot. 2. Cook beef in a skillet, and cook down with contents of taco seasoning envelop and 1 cup water. 3. Arrange chips evenly on 5 plates, and top with even portions of beef and cheese sauce. 4. Add equal portions of any additional toppings you like! My calories include beef, cheese, shredded cheese, greek yogurt, and salsa. Other items listed would change calories, but not by much. * Make this even lower in calories, by using our homemade taco seasoning instead of storebought!